Adventure tourism in Greece with the two-day Ironman 70.3 championship is comprised of three parts: a 1.9km swim; 90km of cycling; and a 21km run. 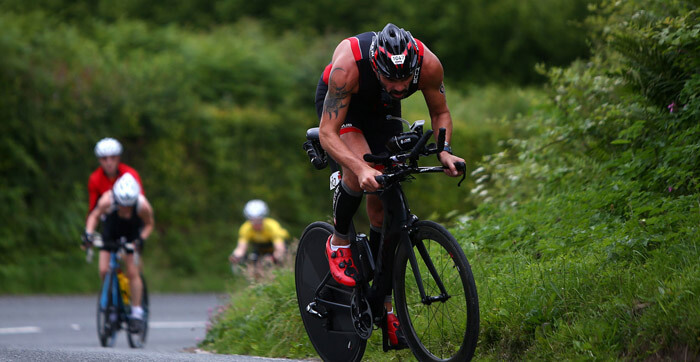 The Ironman 70.3 is additionally called as the Half Ironman, as a result of the half distance. Witch covered in the three disciplines. Do you want to show your skills to the world? Well! your wait is over because the Ironman 70.3 is coming to Greece. Make sure to add the race in your bucket list and start preparing for it. Therefore the combination of skills that you show will help you win this race. Buckle up because here we are going to share some interesting information related to Ironman 70.3. In addition, a few tips on what other adventure activities you can do in Greece this year. Planning a trip to Greece. Greece is certainly the birthplace of the spirit of Olympics. The inaugural of the Ironman 70.3 will take place in Costa Navarino. On 19th April 2019. The registrations have started from 28th May 2018. If you have not registered yet do not miss this opportunity and get started now. The race is going to be organized in the Messenia region of Peloponnese, in southern Greece. This is going to be the first ever triathlon in Greece and the participants are really excited. The biggest attraction of Ironman 70.3 is, that the area is the most beautiful and spectacular region in Greece. It has breathtaking views with Mediterranean Seasides and some appealing landscapes, that are hard to ignore. Inst hashtags: travel destinations and adventure tourist. Ironman 70.3 world championship, full ironman, tourist activity and tourists seek. Adventure travel trade and local communities. Greece tour packages. 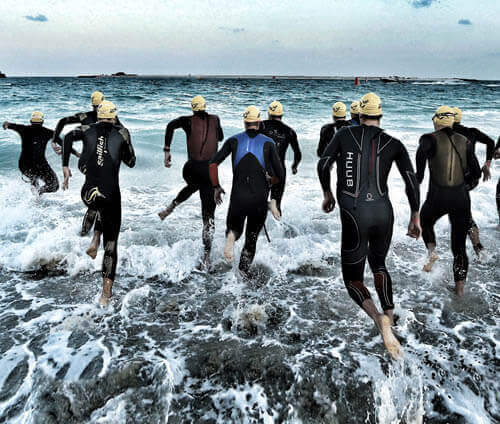 Costa Navarino is selected as the main location for Ironman 70.3. After your flight to Greece, it will take only a 2 to 3 hours’ drive to reach your destination. Once you step inside Costa Navarino you will know what feels like a piece of heaven on earth. The weather of Greece is perfect for the services that will allow you to properly participate in and enjoy the race. There are three important parts of the race and the one who complete all of them will be the winner of Ironman 70.3. Here is a little overview of all the three zones of the race. Once the athletes leave from the Pristine beach they have to complete the swimming track of 1.9 km in the crystal-clear water of Ionian Sea. The temperature of the water can be 17°C (63°F). The second course will be the bike course that has a total elevation of 800 m. athletes have to cover 2 laps of 90.1 km that is paved on an excellent road. The riders have to ride through the ancient olive groves and famous pine-covered hills. They have to assure that they never lose sight of the deep blue Ionian Sea while they are in bines. The final round will be the running in which they have to complete the course of 21.1 km. the course will start from the Westin Resort and players will have to run towards the golden sand Omega Beach that is near Gialova lagoon. There are 2,000 Natura sites in this location. The course will continue from here towards the cobblestone roads. The finish line for the Ironman 70.3 will be at the Romanos. It is a famous luxury collection resort in Costa Navarino. Popular hashtags: physical activity a cultural exchange, high adventure destinations and based tourism. South Africa, world triathlon corporation WTC, Ironman triathlon. Adventure tourism in Greece, suggestions from tour operators! Greece offers the perfect mix of adrenaline triggering adventure sports and laid-back rejuvenating activities such as wine tasting and sightseeing. Greece is a total package. It has everything from mountains, to caves, to islands, and the best beaches in Europe. There are a lot of spots in Greece where you can get out of your comfort zone and add some adventure to your life. These days, taking time out of your hectic day-to-day life is extremely important. What better way can there be to relieve the stress than thrilling yourself with fun outdoor activities? Now the question comes, where does one find such a destination where they can relax and unwind from their hectic life? You can Google all you want, but I doubt you won’t be able to find a place as good as ethereal Greece. Details for the best time to visit Greece. Considered to be the home of ancient Greek gods, this is the tallest mountain in Greece. You can visit this place along with the Archaeological park and museum which is located at the foot of this mountain. It is also a part of our popular “Mountain tour” package as it is the first notable sight on day 1. You can visit the most popular Aegean islands and the amazing Ionian islands to find dolphins and swim with them. You visit Crete and drive to Dikteon cave in Crete. It is believed that this is the birthplace of Greek God Zeus. Here you will find more details about the best things to do in Crete. You can visit the place where Ancient Greeks used to organise Olympics. Luxury tours. This event was started from 8th century BC whereas the last event took place in 4th century AD. Coming to the leisure part, you can spend some quality time with your loved ones and relax by going for a wine tasting tour. It is another popular tour package of ours where the travellers get to taste some of the finest wines and experience the ancient winemaking practices. Hashtags: mountain biking and bungee jumping. 263 billion clicks from united states and tour operators. rock climbing, tourism developed, zip lining, soft adventure. Adventure tourism destinations. bespoke travel experts. This was my first experience with Greecefully and the experience clearly exceeded my expectations. Each day was a new and exciting adventure! Ironman 70.3 triathlon this spring. Incredible time, great trip, well organized, lovely hotel, and walks along the wall and through museums that were astonishing… it was the best holiday ever. The trip of a life time, the luxury of the gullet, extremely gentle crew, delicious food, all these marvelously blend along with the stunning beauty of the islands. Greecefully is Greece’s No.1 adventure travel operator. Amazing experience of the outdoors, food, people, art, history and the Ironman 70.3 triathlon is coming to Greece – truly adventurous! Outstanding fun and adventures unlimited, everyone should have the chance of a trip with Greecefully, then the world would be more content! It was such a wonderful experience. Hiking, diving or wine tasting is more like exploring our self, trip was in true sense unforgettable. Very responsible with the service they provide. They complied with transportation, lodging, visits, and meals. Everything excellent without any doubt, I would recommend Greecefully. Amazing adventure tour with great sights, amazing people and amazing tours from Greecefully’s team. Yes. The Ironman 70.3 triathlon comes to Greece On 19th April 2019. How we can learn more details and book information for Ironman 70.3? Start off with a visit to the Acropolis Museum, one of the top ten museums in the world.